I Don’t Need No Stinkin’ Help! I never thought I would have to look for homeschool support as a single parent. Even when I was single and teaching my friend’s daughters, I didn’t look for homeschool support. Why would I? Because I didn’t consider myself a single mother. Even with my own children, I didn’t consider alternatives. In my world, there was no such thing as homeschool support. And, of course, no Plan B. There I was on the terrace of the place I once called “home” feeling like I were any place but home. Hysterically hitting the butterfly bushes with a branch I had just ripped off a nearby tree. I had to let it out. Unfortunately, nature took the hit. My life had fallen apart. At least, in my mind it had. In addition to the bottom falling out from under me, I was hit with so many internal questions. Where was I going to go? What money did I have for myself? Would I lose my daughter? I am a woman of faith! I consistently say and repeat my affirmations! Aren’t I supposed to win at everything?! When we moved to Costa Rica, I firmly decided I wanted to homeschool my daughter. I began with Letter of the Week studies. From then, I looked forward to guiding her in her education. But, the signs were there. I saw it coming, and I didn’t want to admit it. It was inevitable. The relationship was over long ago. There were just so many things I wanted to hold on to. Including the illusion of a perfect family. I know there is no such thing as a perfect family. I understand there are struggles and you have to work through those struggles. But I didn’t come to that knowledge without help. And time. Before I came to that understanding, the inevitable was hard to accept. Even as it was happening. I was embarrassed to think everyone else could see my world unravel. So, I buried my head in the sand. I didn’t want to admit there was a problem. Consequently, that meant, not asking for help. It also meant not finding a solution. So, I isolated myself to the point that I didn’t believe I had anywhere to go. Because of that, it appeared I had nowhere to go and no one to ask for help. Getting through the day became difficult. Therefore, sleeping through the night became difficult. I was exhausted trying to maintain the illusion. So, of course, homeschooling became difficult. And because I didn’t ask for help, I thought there was no help to be found. I thought I was on my own. Thankfully, it turned out I wasn’t. I was able to find a support group. There were friends, family and professionals willing to give me an ear and point me in the direction of hope. I guess it would be better to say they found me. With the help of my support group, I found the courage to stand up. I also found the strength to dry my tears, dust myself off, keep going, and to search for my purpose. During that time of searching, so many wonderful resources were presented to me. All of a sudden, resources were there to assist, encourage and increase my faith – in my own abilities and in mankind. Perhaps you find it difficult to ask for help. Or you may not know that there is help and support for homeschoolers – whether single or married. If you are struggling in any way, there are people and groups set up to make sure you succeed. As a result of real homeschool support groups, I am stronger. I learned that it truly “takes a village”. Because of the help I received, I’m now in a position to offer support and contribute to my village. Maybe you are a single parent considering homeschooling. Or perhaps you are a homeschooling parent suddenly finding yourself single. Take heart. There are specific resources and support groups for you. As a single parent and as a homeschooler. remind you of your WHY. keep you focused on your GOAL. support you cooperatively if you need TIME. I have to say that I. Love. Schedules. Exactly what do I love about them? I love making them. I also love reviewing them after they are made. And, of course, I love adhering to them (to the best of my ability). Because of this, I really don’t like things trying to take me off my beloved schedule. …we kind of have to go through a thing called LIFE. It’s going to happen with or without your approval. It’s probably also going to be a bit messy. And, I can guarantee that it will test you AND your schedule. So don’t get locked into doing things only one way. There may be seasons when that one way won’t work. Be open to alternatives. Inevitably, there will be times when not so nice memories and negative self-talk try to fill your head. While I won’t tell you to ignore them, I will encourage you not to entertain them. Your children are getting your personal and concentrated attention. You understand how your child learns best. You’re a home educating, household managing, and relationship building BEAST! And when you don’t feel like you got it, there are people who have got you. 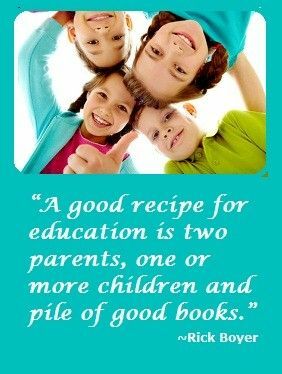 These days, there are an enormous amount of resources available to the homeschooling parent, single or married. Since there are so many wonderful homeschool support resources, I won’t be able to mention them all. However, I will touch on the more recognizable groups and persons who consistently give support to families in need. Home School Legal Defense Association – a nonprofit advocacy organization that provides homeschooling related legal advice and representation. 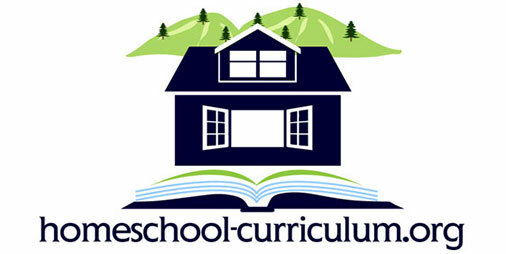 Membership is offered to homeschool families at an affordable price. They are great to have in your back pocket for those “just-in-case” situations. Another added benefit is that they ask for no additional fees or charges for representation. HSLDA pays the cost in full. Also included in the membership benefits are the bimonthly magazine, the weekly updates, and the daily broadcast. HSF also has a page dedicated to single parent resources. Looking After Widows and Orphans: How You Can Help Single Parent Families by Mary-Jo Tate – this article completely spoke to me. It also helped me release the pride and embarrassment I felt to be able to seek homeschool support. Homeschooling as a Single Parent: How You Can Make It Work by Mary Jo Tate – another great article for encouragement. Homeschool Enrichment Magazine – offers a free one-year subscription to single parent homeschool families. Homeschool Benefits Association – offers discounts and services for homeschool families. How Do You Plan Homeschool Activities?